One thing you need to know about the Watson family is that we thoroughly enjoy little hole-in-the-wall diners. We have a few local favorites, and when we travel, we have a general rule that we don't eat at chain restaurant. Although, we will amend the rule should the need arise...for example we get stuck in traffic and use a drive-thru to make up time or we are "hangry" and need an immediate pick-me-up. One of our favorite stops locally is Paradise Point on Barren River Lake. 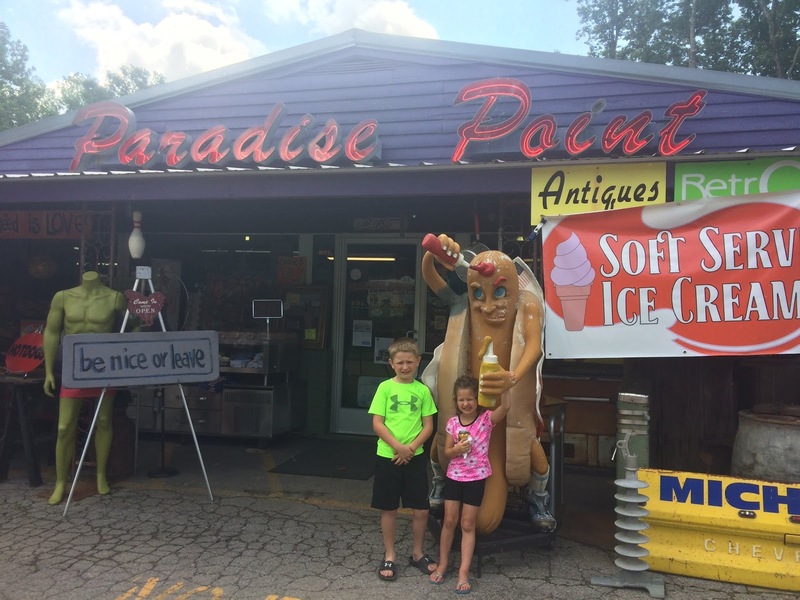 If you are from this area or simply passing through, you should check it out. The owner was actually Eric's chiropractor until he retired to the lake and opened this little gem. It's funky and eclectic with crazy paintings a lots of fun artwork. Plus, it sales the most unique items in the gift shop along with a lot of Kentucky Proud Products. Not to mention, they have a Sunday morning church service streamed in for campers who are away from their church family. I love that little touch. As for the food...ya'll, it's so stinking good!! 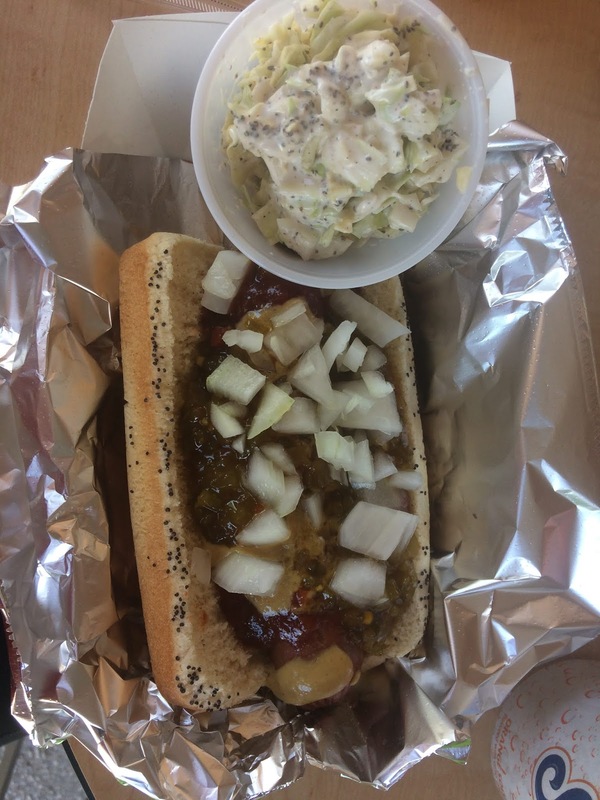 They serve standard Hebrew National hotdogs on a poppy seed bun, but they have a "toppings bar" with amazing products like Banana Pepper Mustard, Wasabi Mustard, Chipotle Ketchup, and fresh slaw to name only a few. I usually pile my plate so full of toppings that I have to eat my hotdog with a fork, but it's worth every sloppy, messy bite! As for sides, they have many options, but my family loves sampling some exotic flavored potato chips like Cajun Jalapeno and Spicy Crawfish. And don't skip out on dessert because they always have something new on the menu. I don't think I've ever had a dish that I didn't like, which is saying something because I'm not a sweet eater. 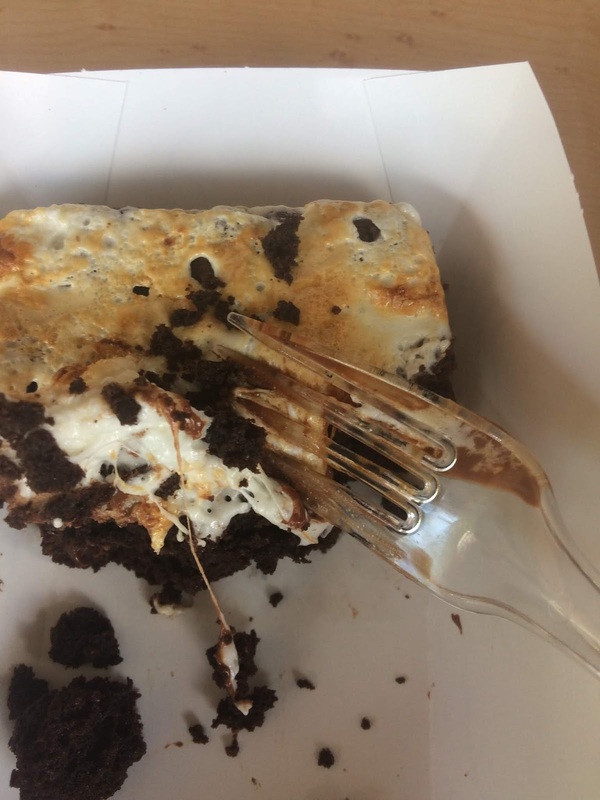 The picture above was the s'mores brownie, and it was delicious. 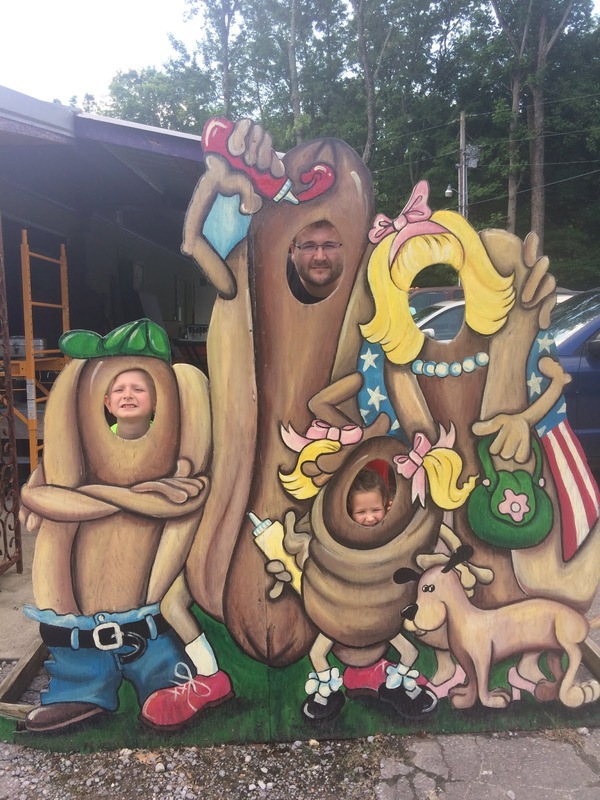 Before you leave, be sure to take a picture with the Wiener Family cutout or stroll through the gift shop. It really is just a fun and casual atmosphere for locals wanting an afternoon drive or camping families who need to break up the day. The best part might just be the words of wisdom displayed throughout the property. I love the painted car that sits out front. 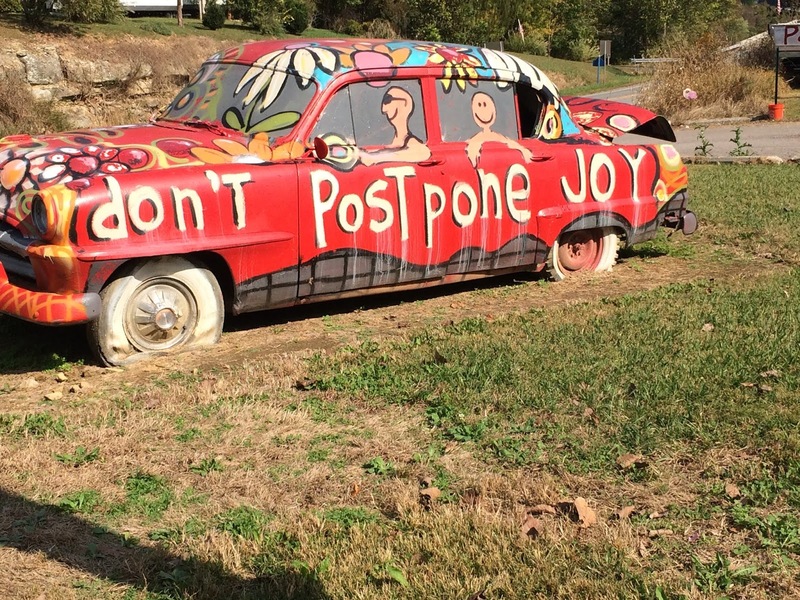 What a great reminder..."Don't Postpone Joy." We might have to look harder for it from time to time, but I believe that there is always joy to be found no matter what season we are walking through.